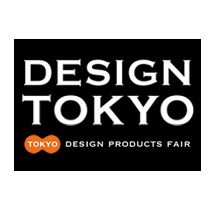 Design Tokyo is one of Japan’s leading design events and trade show for “marketable” design products, focusing on design products with a clear native market. All items showcased must pass a screening process by a panel of leading designers and stylists in order to be displayed at the fair; for this reason, Design Tokyo has become a popular choice for key buyers looking for fresh Japanese trends. The show attracts key buyers coming in flocks to find new vendors and see what’s fresh in the design and lifestyle fields, providing the opportunity for new products to enter the design conscious market of Japan.